If you set yearly writing goals or new year's resolutions last month, how's that working out for you? 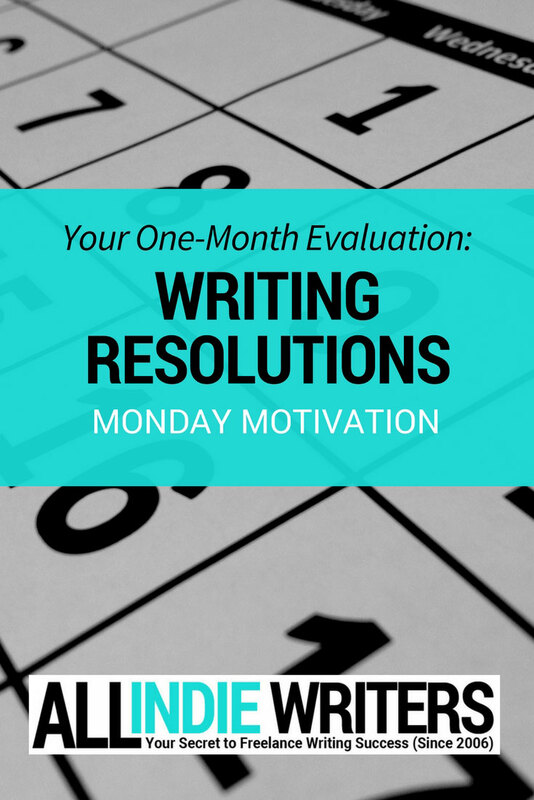 Why Evaluate Writing Goals in February? Normally I'd tell you to focus on quarterly check-ins for big yearly goals. But February is the exception. By the time February rolls around, that "new year" glow is starting to fade. After putting a solid month of work in, you have a better idea of what you can realistically fit into your schedule. By not waiting too long to check on your progress and make adjustments, February serves as a second chance to get things right. I'm a bit biased towards February. My birthday falls early in the month, so for me it really is like having a second start, and it often affects me even more than the start of a new year. Having this second chance to start over motivates me even more. If I messed up once and got off track, I sure as heck don't want to do it again. Some of the biggest things I've done in my life have been a result of that second surge of ambition and excitement that comes each February. You can find a similar benefit by doing a simple evaluation. Pull up your list of goals or resolutions if you haven't yet. Go through each goal one-by-one and ask yourself, "What progress have I made?" Tasks you've been progressing with -- group them together. Then look at the goals or resolutions where you've seen no progress, and separate them into three groups -- "Not time yet," "Behind where I want to be," and "What the hell was I thinking?" How do you know where to group those tasks? These are goals, resolutions, or tasks that you aren't technically behind on. You've planned for them to come later in the year. For example, my list of resolutions almost always includes at least a couple of website overhauls or new site launches. That doesn't mean I have to start working on each of those projects in January. I may have scheduled one for spring and another for a fall release. So not making progress by February doesn't mean I'm behind (yet). Tasks in this group deserve closer inspection during the quarterly evaluation where you're actually supposed to be working on them. For now, set these aside. These are goals you should have started working towards earlier, but you're either behind or you haven't started yet. For example, let's say your resolution was to publish a nonfiction book related to your blog's niche. Unless you've mapped out a specific schedule that doesn't begin until later in the year, you probably should have made some progress on this project while you had that new year excitement behind you -- even if that was just creating an outline. Here's where to spend most of your time. Remind yourself why you set these goals in the first place. Is it about making more money? It is about doing something that will make you happier? Will you get something more concrete out of it if you achieve each goal? There's always an end game. Focus on that, and put together a plan to get yourself back on track. If you find yourself wondering why you ever added a goal or resolution to your list, it's time to reconsider it. Will you actually have time to do that? Do you still want to do that? Does that goal still fit in your larger plan or business model? If the answer to any of those questions is "no," scrap it. Focus your energy on the things you can, and really want to, do. I didn't go into a lot of details about my resolutions when I shared them. And I'll keep it equally vague here (will share a bit more in the first quarterly evaluation perhaps). But it's been a mixed bag. I've made some progress in that I'm getting my own blogs back in order. That was a big part of my re-emphasis on my three-prong approach to my business, and also my goal of reviving my "Big 3" blogs. That said, progress on two of those three blogs has been slower than I'd like. I hoped to start blogging at NakedPR.com again right away in January. But I'm stuck deciding on a direction. This goes back to me re-thinking options related to going back to school and wanting this blog to fit into those plans. I'm torn between two paths right now, but should figure it out soon enough. I haven't started the content overhaul yet on BizAmmo.com, which I also hoped to work on last month. But that's an issue of the content audit taking longer than expected. Still working on it, so it's still OK in my book. Then there's the indie publishing side of that three-prong business approach. That's where I'm most behind. I have a nearly-finished short e-book that's been waiting on me to get back to it for months. And there's no excuse for that not being released in January. I might manage a February launch, but I don't like already being behind on my publishing schedule. That's where I need to drum up some new excitement. Really, it all comes down to priorities: What do you want? And what's the best use of your time to get you there? Even if you've already gotten behind on your writing goals, it's not too late to fix things (or even change your plans if they're not working for you). Don't wait until months have gone by. Let February be your second chance for a fresh start. 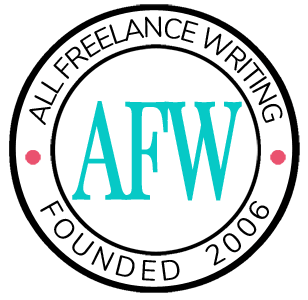 How are your writing resolutions and 2017 goals shaping up so far? I'd love to hear about your progress in the comments.